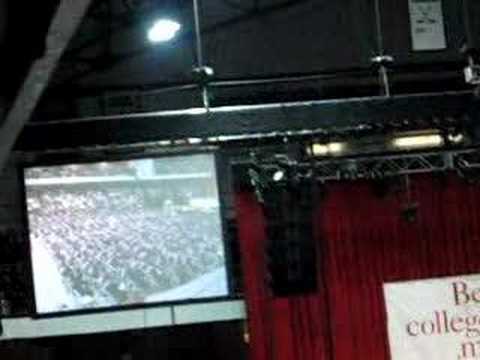 More than eight hundred graduates received degrees at Berklee's 2006 commencement, held at Northeastern University's Matthews Arena, in Boston. Honorary doctor of music degrees were presented by president Roger Brown to soul music legend and Grammy-winning superstar Aretha Franklin, Grammy-winning singer/songwriter Melissa Etheridge '80, internationally celebrated saxophonist and Berklee educator Andy McGhee, and Grammy-award winning producer and engineer Elliot Scheiner. Etheridge, a Berklee alumna, delivered the commencement address in front of more than 4,000 guests.